I Don't Hold Grudges Against Those That Put Me Behind Bar.. Ex Gov Jang. 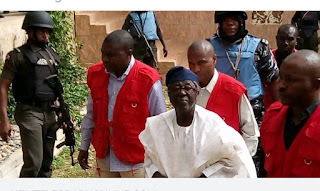 Senator Representing Plateau North in the National Assembly Senator Jonah Jang who was remanded at the Jos Prison for one week has expressed gratitude to all his supporters and Nigerians who have endured difficult conditions to stand with him through his ordeal. 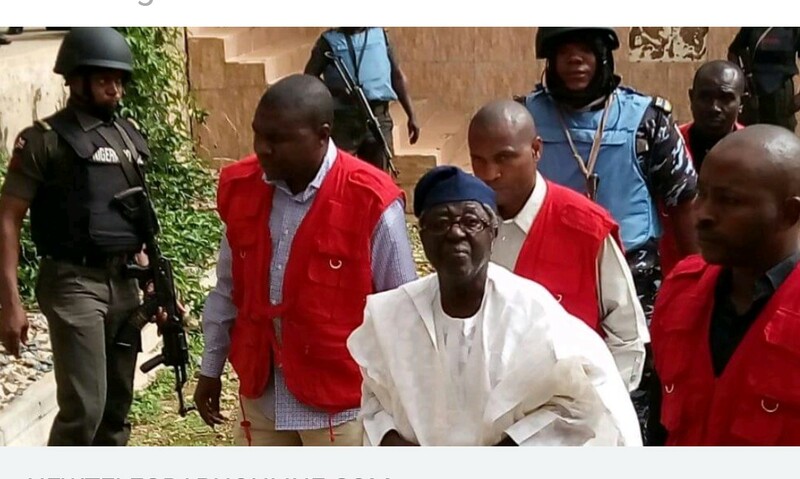 Jang in a Press statement signed by himself and issued to Journalists in Jos after he was granted bail said the burden he carries in his heart is not of grudges against those against him. “The burden I carry in my heart is not of grudges against those against me, but of gratitude for those who have endured difficult conditions to stand with me through this ordeal. I am convinced beyond doubts that your labour of love shall not be in vain. May God bless you for remembering me in my hour of distress”. Jang who was the former Governor of Plateau State from 2007 to 2015 said, “For over a week, I was kept in detention by the Economic and Financial Crimes Commission (EFCC), deprived of the inalienable right to personal freedom and association”. The Senator disclosed that his lawyers have instituted a case at the FCT high court and he shall pursue it to its logical conclusions. According to him, “If the laws of our country are still potent under the current circumstances, my detention constitutes a gross abuse of the fundamental rights guaranteed me as a law-abiding citizen as enshrined in the 1999 Constitution of the Federal Republic of Nigeria, as amended. “Where the constitution provides for an accused person to be charged to court within one day, I was held by the EFCC for over a week in flagrant disregard to the letters and spirit of the supreme document which legitimizes the very existence of our country,” he said. He said as a Governor of Plateau State in the 8years entrusted to him, his preoccupation was the welfare, wellbeing, and security of the people. “My work was dedicated to opening new frontiers and elevating our state and people to a status commensurate with the expectations of a world which has changed tremendously. A testament of that can be easily identified in all 17 Local Government Areas of the State, and other strategic areas within the governance landscape”. However supporters of the Peoples Democratic Party PDP in their hundred’s had stormed Jos, the Plateau Capital yesterday and created holdup and traffic along Rayfield Road linking Du village, of Jos South Local Government the hometown of the Senator.